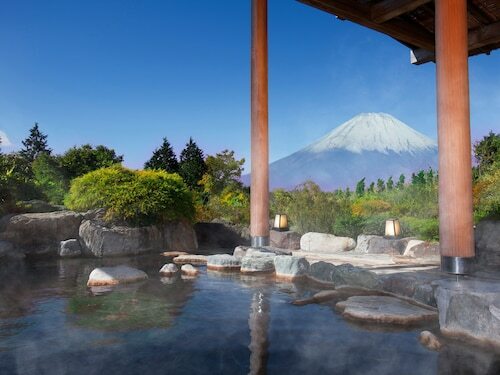 Have you considered booking a Hakone vacation package? It's really easy with Expedia, and you'll be able to buy a few fancy dinners or gifts for your buddies back home with the money you save. Book your package today on Expedia and save up to 40,450 YEN*! It's that easy! With more than 400 partner airlines and 321,000 properties to pick from on our comprehensive database, you won't have any trouble creating your perfect vacation. If you have to change your vacation plans, we'll honor your cancellation request on nearly all reservations with no extra fee. Getting ready to take off on your Hakone vacation? Haven't got a clue what sort of things to include in your travel itinerary? No need to fret — we're here to give you a few pointers. You don't need to know your Picassos from your Monets to enjoy an outing to Hakone Open Air Museum. It features an excellent collection of works that'll capture your interest and get you thinking more deeply about art. There's a wonderful range of things to keep you busy in this destination. Hakone Shrine is a revered place for many. While there, take advantage of your surroundings and try to practice some peaceful reflection. Still have some time to spare? Nothing compares to seeing top-level art when your spirit needs a lift. As you stare at the astounding works at Narukawa Art Museum, see if you can find a deeper meaning. Travel isn't just about famous destinations and plush hotels. It's about the experiences you live and the incredible memories you collect on the way! Trying out a Private Mount Fuji Viewing Full-Day Tour with Hot Springs is a nice way to start your Hakone adventure. Head to our Hakone things to do page for a full list. Before you make your way to Hakone, lock in a comfortable bed via Expedia. You'll have approximately 64 accommodations to select from — your next cheap vacation or luxury getaway awaits! Travelers who delight in luxury and style will be sure to enjoy the Gora Kadan (1300, Gora) and the Gora Tensui (1320-276 Gora). Rather lower-priced accommodations? 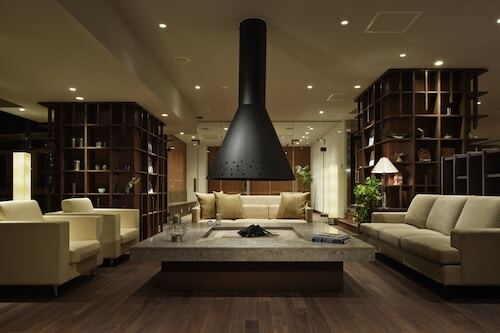 Try The Ryokan Tokyo YUGAWARA - Hostel (742 Miyakami) and the Onsen Hostel K's House Hakone (Yumotochaya 12-1). If your planning on arriving by plane, you'll likely be landing at Haneda Airport (HND). After you've collected your luggage and wandered outside, the heart of Hakone will be just 50 miles (80 km) away. Stroll around a section of this lake or sail across it on a pirate ship and, if you’re lucky, you might see a clear view of Mount Fuji rising up in the distance. Spend a day spotting artworks and strolling along the gentle hills and lush lawns at this peaceful garden gallery on a scenic railway route. Walk up a cedar-lined path dotted with lanterns to see Hakone’s most famous Shinto shrine, standing between the shores of Lake Ashi and the peak of Mount Hakone. Soar above the plumes rising from sulfuric hot springs and enjoy unbeatable views of Lake Ashinoko and Mount Fuji from the comfort of a gondola. 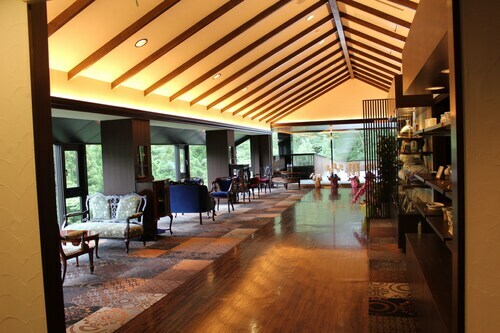 Located in Gora, this luxury resort is within 1 mi (2 km) of Hakone Gora Park and Hakone Kowakien Yunessun. Hakone Open Air Museum and Lake Ashi are also within 6 mi (10 km). Hakone Gora Station is 17 minutes by foot. 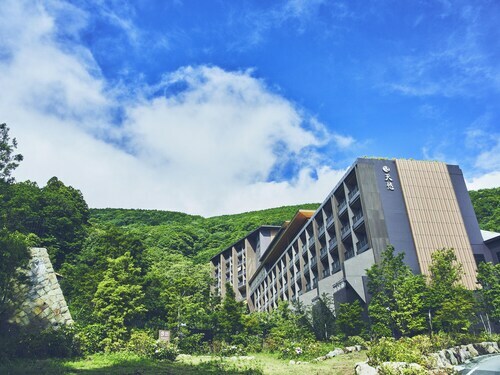 Situated in a national park, this hotel is within 2 mi (3 km) of Sengokuhara Onsen, Lake Ashi, and Ōwakudani. Hakone Visitor Center and Hakone Ropeway are also within 2 mi (3 km). 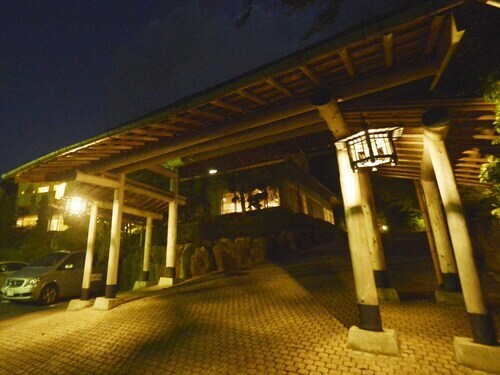 Located in Gora, this hotel is within 1 mi (2 km) of Hakone Ropeway and Hakone Open Air Museum. Miyagino Hayakawa Breakwater Cherry Blossoms and Hakone Ropeway are also within 6 mi (10 km). Hakone Gora Station is 14 minutes by foot. Located in Gora, this hostel is within a 15-minute walk of Hakone Gora Park and Hakone Open Air Museum. Hakone Kowakien Yunessun and Ōwakudani are also within 2 mi (3 km). Hakone Gora Station is only a 2-minute walk and Kowakidani Station is 23 minutes. Situated on a lake, this hotel is within a 10-minute walk of Sengokuhara Onsen and Lake Ashi. Ōwakudani is 2.1 mi (3.4 km) away. 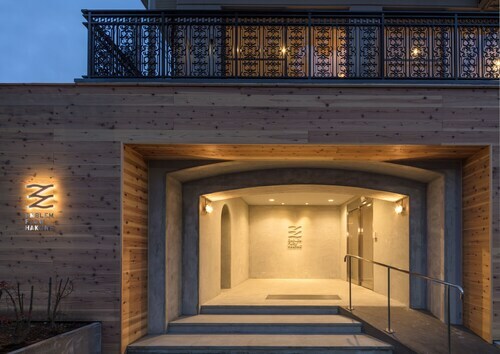 Situated in Hakone, this luxury ryokan is within a 5-minute walk of Hakone Kowakien Yunessun and Okada Museum of Art. Hakone Open Air Museum and Hakone Ropeway are also within 2 mi (3 km). Kowakidani Station is 18 minutes by foot. 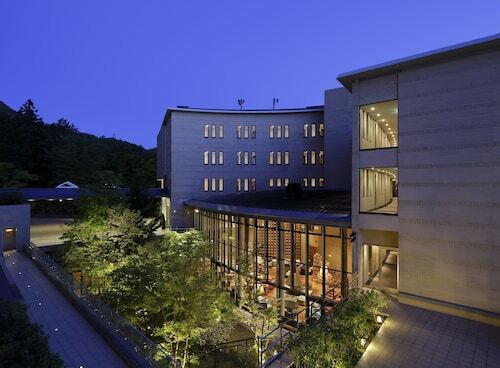 Located in Miyanoshita, this hotel is within 1 mi (2 km) of Hakone Open Air Museum and Hakone Kowakien Yunessun. Hakone Ropeway and Hakone Hot Springs are also within 3 mi (5 km). Kowakidani Station is 10 minutes by foot and Hakone Miyanoshita Station is 18 minutes. Located in Gora, this ryokan is 0.8 mi (1.3 km) from Hakone Ropeway and within 3 mi (5 km) of Hakone Open Air Museum and Hakone Ropeway. Lake Ashi and Hakone Ropeway are also within 6 mi (10 km). Hakone Gora Station is 19 minutes by foot.